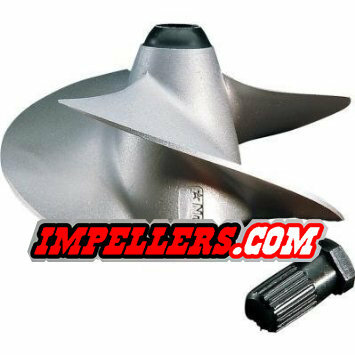 High Performance Impeller comes with removal tool that works stock or aftermarket impellers. pro unique 3-D blade design. Pro Design was developed using the latest hydrodynamics research. Blades have super-progressive pitch and minimal overlap for hard acceleration throughout the powerband and increased top-end speed are immediate benefits.. 3-D design reduces cavitation in all water conditions. Precision-cast using aerospace-grade stainless steel, then heat treated, CNC machined and dynamically balanced. comes with 1yr limited warranty. Jet Impeller Fits This upgrade over stock Sea Doo Impeller Fits Sea Doo SPX 1999 GSX RFI 99-00, GTX RFI 98-02, Boat Speedster 800 98-99, 140mm 3 blade. You can't beat the performance or the price.